My family and I witnessed the 3rd day of the 16th Philippine International Hot Air Balloon Fiesta at Clark Field, Pampanga. It was indeed a weekend of everything that flies. From hot air balloons to kites, from pilot-driven air planes to remote controlled ones, from skydiving to paragliding; name it, they had it. Unfortunately, that Saturday was a dark and gloomy day. The wind conditions were not that suited for flying hot air balloons that the hot air balloons were only flown in early in the morning and at night for the Hot Air Balloon Night Glow. We arrived at 5 a.m. but traffic going inside Clark was so bad and we also had a hard time finding a parking spot that we were only able to go inside the event area a few minutes before 7 a.m.. Then, we left at 3 p.m. to avoid the traffic going back to Manila. These are the reasons why I don't have enough decent hot air balloon photos. Nevertheless, we had a fun time watching the aerobatic show and the paragliding exhibitions. The boys also had fun posing for souvenir photos in the Phil. Air Force exhibit area. By the way, there's also a small booth where the Philippine Coast Guard showcased their paraphernalia. My boy suddenly wanted to become a soldier after holding the guns and riding the military jeepneys. Buy your ticket in advance to avoid the long queues. You can get your tickets from TicketNet and the organizer's other partner sites. You must be in the site as early before 5 in the morning. The first event starts at that time. the hot air balloons are also flown high into the air at daybreak. We arrived exactly at 5 a.m. but we still need to park so don't forget to allot some time for that. Bring lots of food and water especially when travelling on a budget and with a large group. You can bring packed lunch and a small cooler for your drinks. Bring all picnic essentials. You can either bring a large mat and beach umbrellas or a camping tent where everyone can sit while viewing the exhibitions. Don't forget to wear hats or caps, sunglasses, and sunblock. I also suggest that you bring a telescope or binoculars. Charge all your gadgets. There are no charging stations in the site. We'll sure be back next year earlier and more prepared. Till next PIHABF! I have been plurking about this for the past couple of days. Finally, my most-awaited Vigan trip has come true. 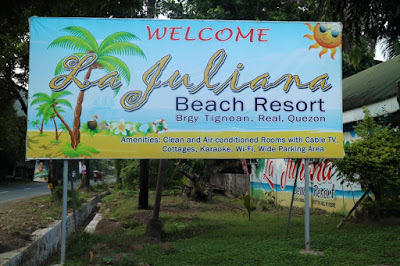 We planned the side trip to Vigan rather spontaneously. I was tasked to organize everything. Only my brother, Leo, was able to squeeze in the trip between his tight work schedule. 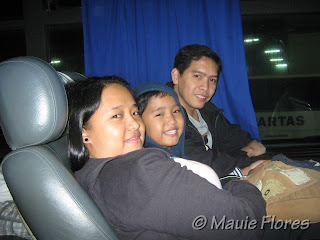 We left Manila Saturday night riding the 10 p.m. Partas Deluxe bus to Laoag. I decided to take the deluxe bus at 685 pesos compared to the 585 pesos first class bus to Vigan. We were able to save money because we did not buy a seat for Ralph anymore. He was able to squeeze in between me and my husband as the lazy boy seats were wide enough for the three of us.